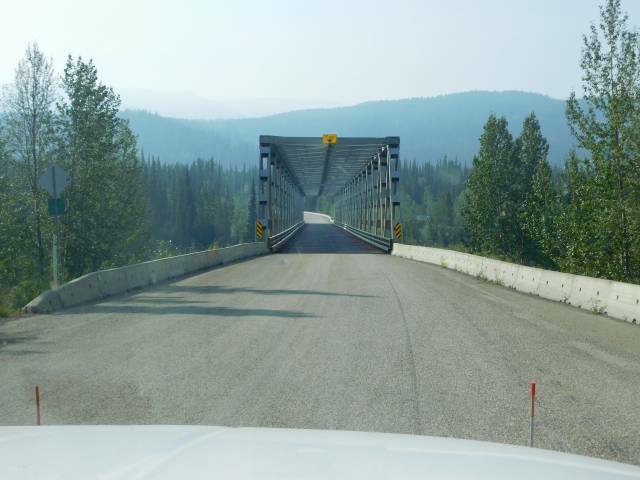 Crossing a one lane bridge on the Cassiar Highway. Here smoke is in the back ground. You can still smell it and it irritates your eyes. I told Cinnamon and Spice, breathe through your nose and blink often.